Gliding is an exhilarating, demanding, and sometimes frustrating hobby. It is also a passport to fresh air and gentle exercise that can be enjoyed by anyone, yet sadly women and junior members are often under-represented. Many clubs, including this one, subsidise junior members by offering lower flying fees and reduced rate membership for younger pilots. 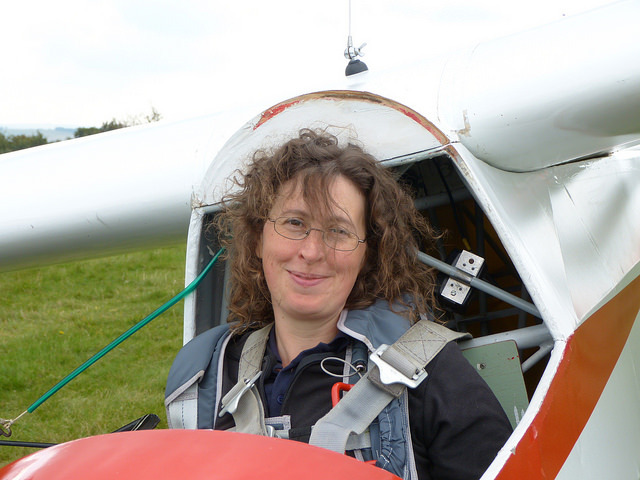 Gliding is a cheap way to learn to fly, and a tremendous way to gain confidence, spatial skills and safety awareness. For anyone considering a career as a pilot or joining the RAF, gliding gives invaluable experience for the CV. Juniors may fly at Strubby from 12 years (minimum weight applies). Previous events to promote juniors and women to get involved: The Wright Stuff at CATCH, Stallingborough and High Flying Girls here at Strubby. Our 2017 regular female membership! At LGC we are steadily increasing our proportion of female and junior members – and are now well in excess of the UK averages of 5%! I am amazed by the number of women who buy vouchers for their husbands and look aghast at the idea of flying themselves, or stranger yet (to me) are those who fly, love it, and never return. I would encourage any woman with an urge to take to the skies to try it, and persuade the whole family to take part if that’s what it takes to get the time! We go the extra mile to encourage women to take part by providing toilet facilities at the launch point. These were successfully (and gratefully!) trialled by numerous squeamish teenagers and adults during High Flying Girls. For more info, see Popaloo.